“What happened in Grenfell was a tragedy. We do not have any Grenfell-type towers in Ireland, in terms of height or density of occupation, but the state does have a duty of care when it comes to fire and life safety, particularly to those who are housed by the state. I take that responsibility very seriously, hence my decision to establish a Fire Safety Task Force following the Grenfell tragedy, to make sure that our citizens are safe from similar risks. That Task Force is working on a number of areas, two of which are probably of greatest importance – an inspection by local authorities of fire detection, alarm and escape measures in all multi-storey social housing, and a programme of identification by fire authorities of all buildings of more than 18m in height with cladding systems (this includes residential buildings, as well as hospitals, schools and other buildings) and overseeing of fire safety assessments of these buildings. The Task Force has met on a number of occasions and will continue to meet, with an initial report on its work due by the end of September. However, I wanted to provide an update as to what that work has achieved to date seeing as the initial inspection and assessment work has been conducted, with some work still to be concluded. For the remaining 724 buildings Local Authorities have confirmed that for 571 buildings inspected, early warning systems are in place and fully functional. The remaining 153 inspections are scheduled for the remainder of August, including a small number of buildings where deficiencies have already been identified and works to address them are in progress. The Department issued circular FIRE 05-17 on the 4th of July, 2017 to fire authorities, requesting details of buildings of more than six storeys, or more than 18m in height. Replies have been received from all 31 fire authorities. Preliminary replies have identified 847 buildings in Ireland, of more than six storeys, or more than 18m in height – 372 are residential, and 475 non-residential. Residential buildings include flats or maisonettes, residential institutional uses (hospitals, nursing homes, homes for old people or children, school or other similar establishment providing accommodation), and other residential uses (including hotels, hostels, guest buildings, residential colleges, halls of residence). 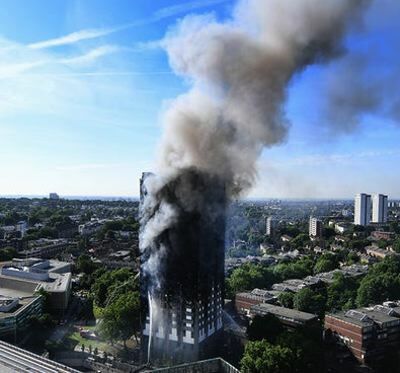 Local Authorities have identified 91 residential buildings at this height fitted with cladding systems. Fire authorities have required fire safety assessments in 91 cases – to be provided by mid-November. Fire authorities have required fire safety assessments in 111 cases – to be provided by mid-November. The task force continues to meet, and is assessing the initial survey findings, as well as the results from the outstanding 172 multi storey residential inspections due for completion in August. It will also provide an overview on issues arising from the fire safety assessments for the 202 higher buildings (6 storeys or more or 18m height or more) once these have been completed later this year. As part of its ongoing work the task force will also develop other aspect s of the response to the Grenfell tragedy. A Building Control Management System (BCMS) alert was issued to all 57,000 registered users of the BCMS to remind those involved in works to existing or new buildings of the need to remain vigilant in relation to compliance with the Building Regulations and in particular to Part B Fire Safety. This entry was posted in Building Regulations on August 17, 2017 by BRegs Admin.